The Sacred Portion Children's Outreach is in partnership and is supported by many other organizations. Visit some of the links below to find out more. Half the Sky Foundation is establishing early childhood centers in Chinese walfare institutions to provide the children stimulation, individual attention, and an active learning environment. 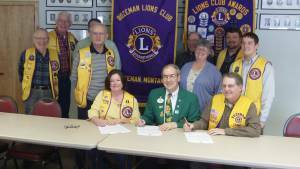 The Tanay-Kapuso Lions Club is participating by providing voluntary services and labor in the Philippines and is involved in a Twinning Relationship with The Bozeman Lions Club and the Lions Club International Foundation. The local church is God’s answer for the orphan crisis. Hope for Orphans exists to help your church do what God has called you to do on behalf of children in the United States and around the world. 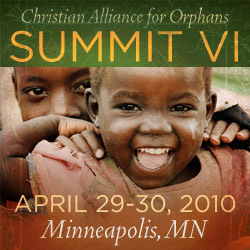 We serve churches with a heart for orphans. This Small World Adoption Program qualifies for financial grants by the foundations who partner with Small World. The granting foundations are solely responsible for approving or denying prospective adoptive parents.